We couldn’t be more in love with these little guys. Check back every week on Sundays and Wednesdays for updated Pictures as they grow. Fin is such sweet and gentle little guy. He loves being held and is an absolute teddy bear. There isn’t a mean bone in his body. 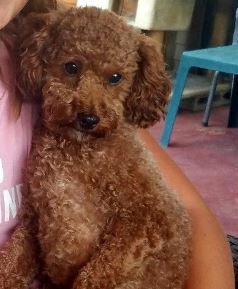 He is an AKC red miniature poodle and weighs only 10 lbs. He has been genetic tested. Fenley is a loyal and tender soul. She enjoys belly rubs and being at our sides wherever we are. She loves children and is very responsive to verbal praise. 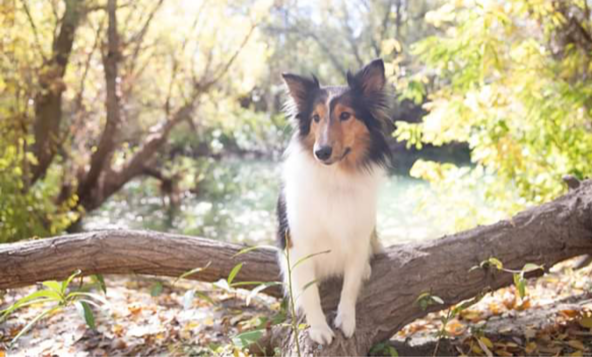 She is an AKC Shetland Sheepdog (also known as a Sheltie). She has been genetic tested.